Let’s talk about debt. How do you feel when you hear the word “debt”? Does it bring up negative or positive connotations? For most people, debt, or owing money, is a bad thing. It’s something that makes them uncomfortable, keeps them up at night, and stops them from doing things they’d otherwise jump at. But I’m here to tell you that not all debt is bad. In fact, there is such a thing as good debt! Good debt is debt that is acquired in order to buy real assets. A real asset is something that generates an income for you. The reason this debt is good is because the income produced by an asset can cover the interest charged on the debt (and other costs). You end up being in front! And of course, that’s a very good thing. An example of good debt is a loan that you get for an investment property. Because your property is going to increase in value and produce a rent (that will continue to go up), it can service the loan and is therefore good debt. Bad debt is a loan that is acquired in order to purchase something that decreases in value and does not produce an income. 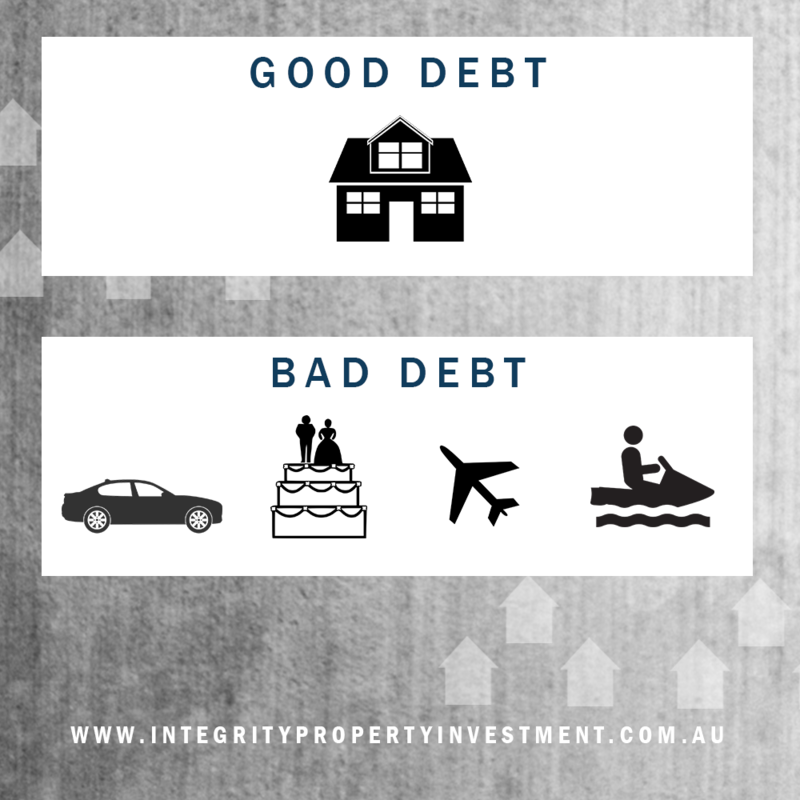 Some examples of bad debt are cars, jet skis, weddings, holidays, and all those types of things. Debt on these items is only costing you money, not bringing in an income. If you have bad debt, it’s important to wipe it out as quickly as possible. It’s not serving you financially. However, if you have good debt, you can relax, because it’s working to make you wealthier. The distinction between the two could be the difference between being financially free and financially ruined. Previous post Is Your Home An Asset Or A Liability? Next post Beware Of The FIFO Trap!